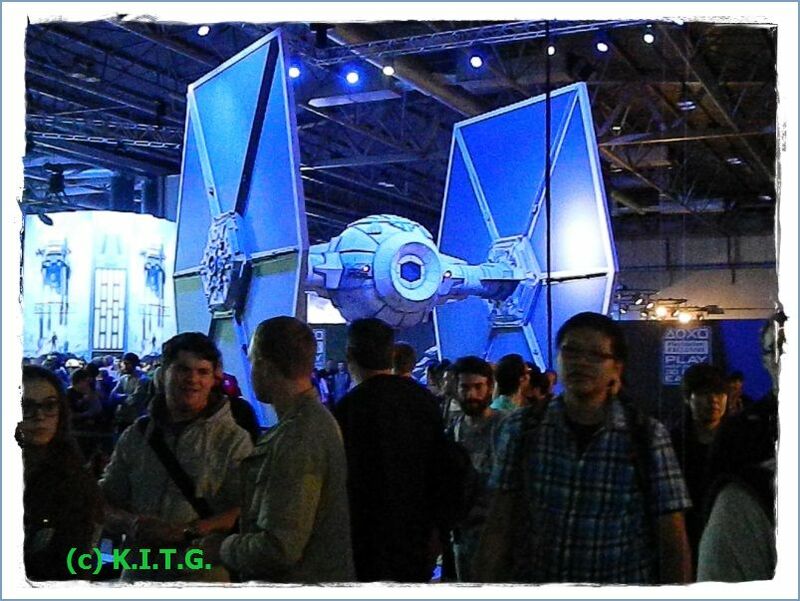 Bruno B here with our coverage of this years EGX in Birmingham . Gaming this year has seen developers get full swing into the current gen systems, leaving behind generation seven which has been one of the longest generations we have had. That's not to say that there's not any games coming for the likes of the Xbox 360 or PS3 this year and next but there's no doubt that releases on those systems are now far fewer then last year. 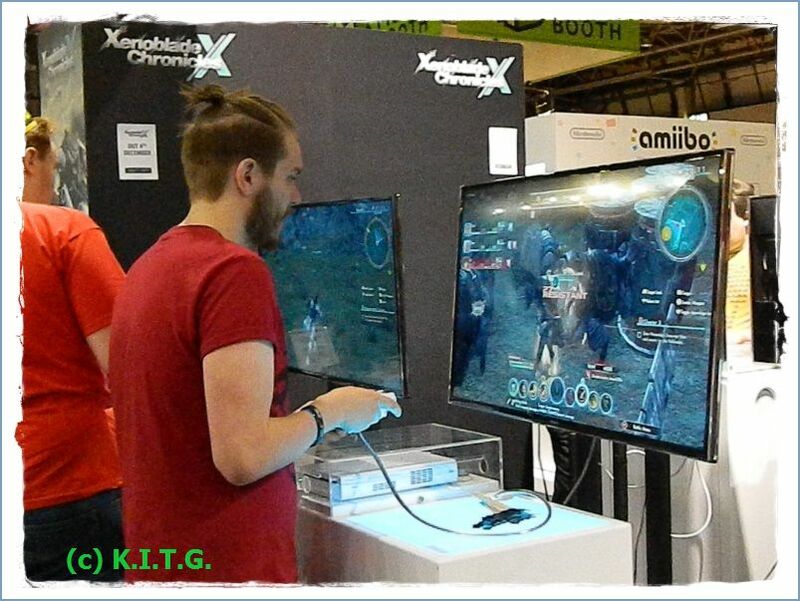 EGX 2015 was all about the upcoming releases on the Xbox One , PS4 ,Wii U ,3DS , PC and mobile. 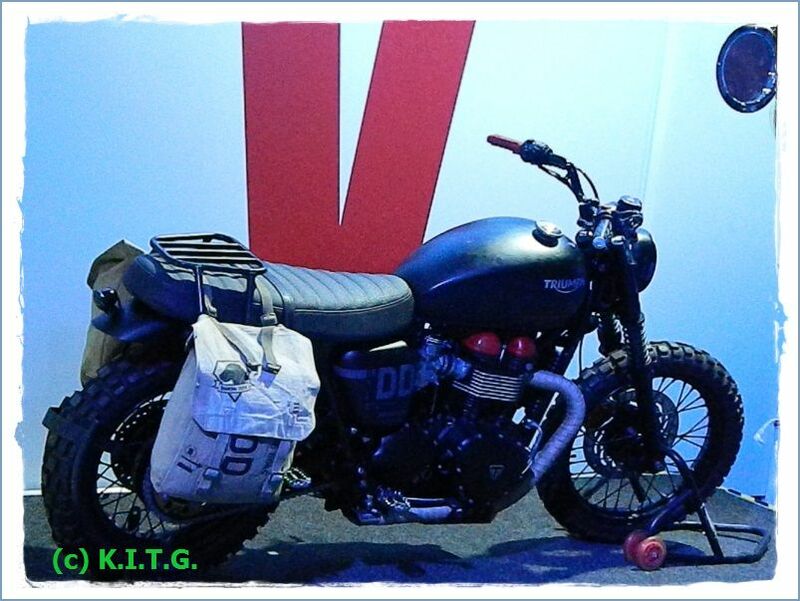 Unlike last year where we had time to cover quite a bit of the show as we had a couple of days at the event to see everything. With it's new home at the Birmingham NEC it was not feasible for us to travel Birmingham more then once , also the event fell on the weekend of one of the biggest matches in the Rugby World cup making it a very busy journey. Anyway after a early start and a journey I hope I never have to repeat I finally arrived at Birmingham NEC some four hours after leaving home. A journey I have done in the past in two and half hours. My initial entry to the show I was quite surprised by the scope of things ,but as I ventured round I did find some publishers had decided not to attend , many of which if the show was still in London probably would have. 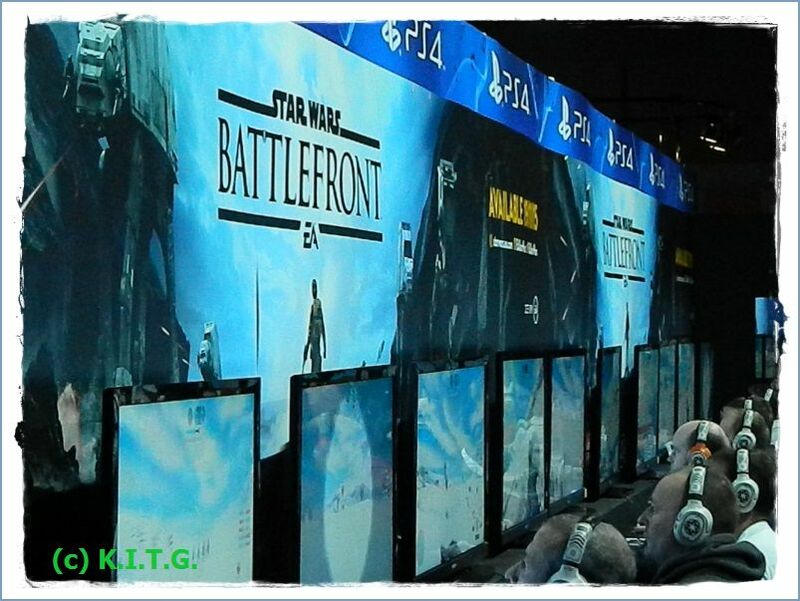 Of course the big three had huge stands where they could show of their holiday games. I had a idea what I wanted to see and what I wanted to actually get a go on . First stop the Xbox stand , I for some reason thought I might get a look in on Halo 5 , but with just one day at the show and a queue which had a wait time of around two and half hours ,i thought I won't literally waste my time. I was able to see the game in action though and it does look crisp and has that classic Halo look. Now I am a Halo gamer but have not played the later games by 343 Industries and was keen to see how it compared. Graphics look lush and smooth , I suppose the biggest let down for me and many gamers is the lack of local split screen multiplayer . Though online gaming is fun at times , the lack of being able to combat your mates in split screen is a shame. 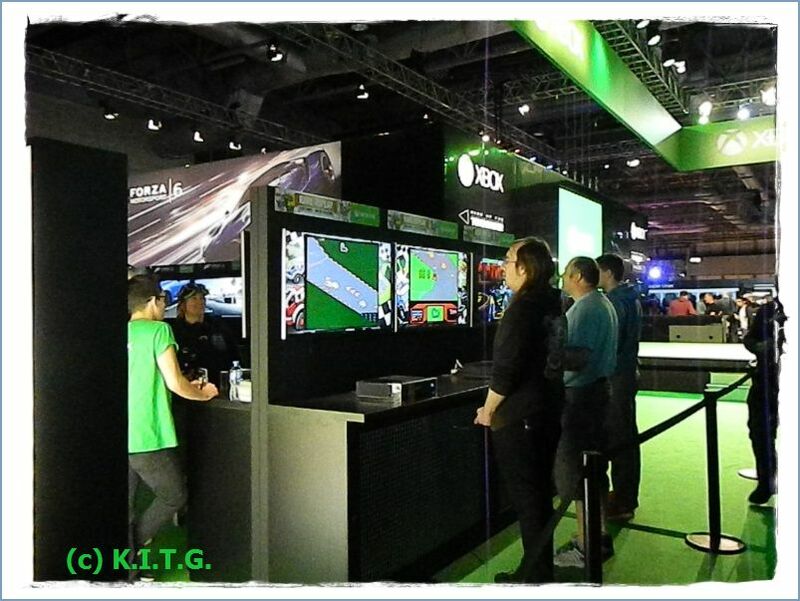 Now Microsoft's stand was not exactly overflowing with games, the whole stand was dedicated to just a handful of games and a few indies. 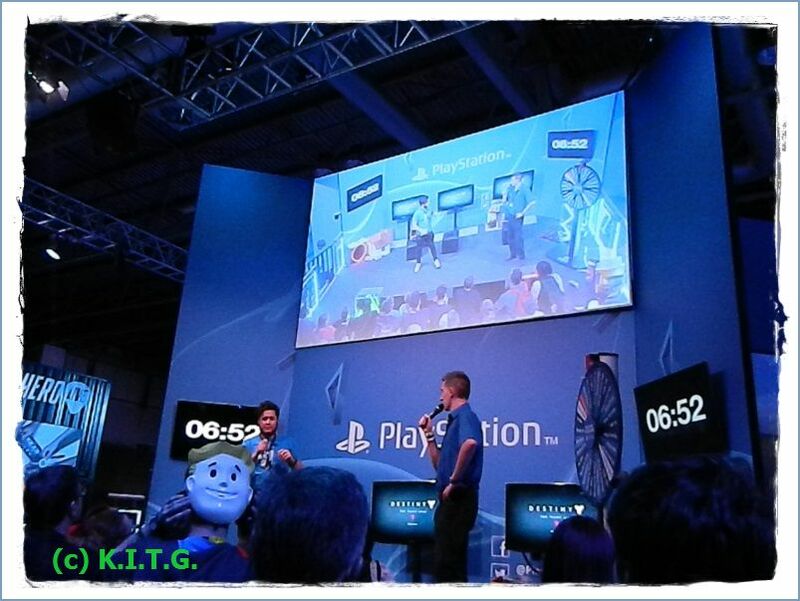 They had abig stage area where they talked about the latest games and gave out prizes to Xbox gamers through out the day. 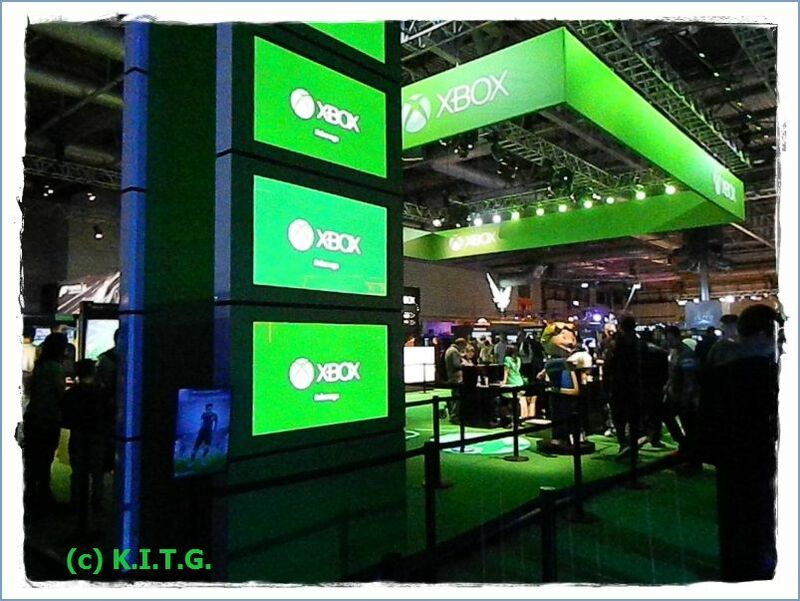 It was quite hectic with a good crowd who where randomly thrown anything from T-shirts, key rings to accessories for their Xbox One systems. I really wanted to try Forza 6 , as big race fan and one that never really got into the Forza games but liked the Forza Horizon games . Queues for Forza where not to bad and decided to venture and come back later. 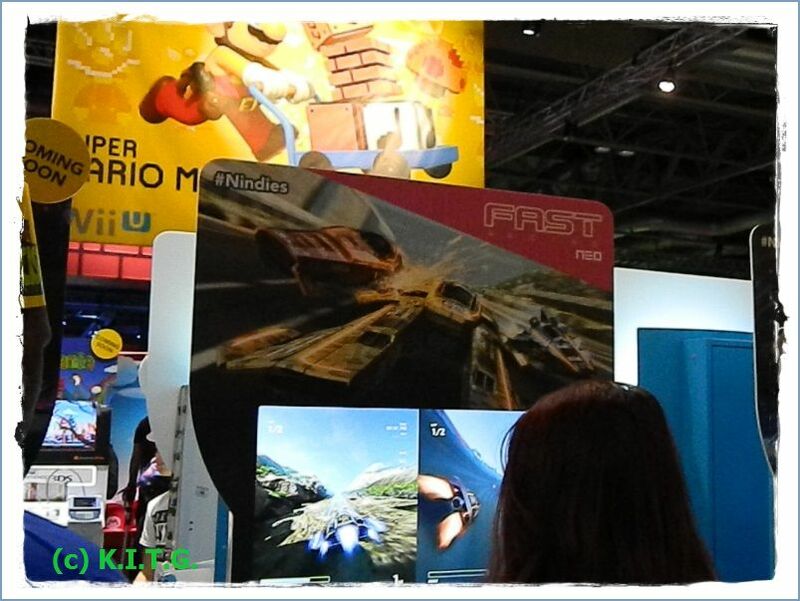 Now as a owner of the Wii U system by Nintendo I was excited to play a few titles on the Nintendo stand where games for Nintendo's Wii U and 3DS systems where on show. Nintendo's stand was again huge ,but unlike the XBOX stand was jam packed with games across it's two systems as well as a main stage where competitions where held and the Nintendo UK online store where you could buy games, plushes and accessories. 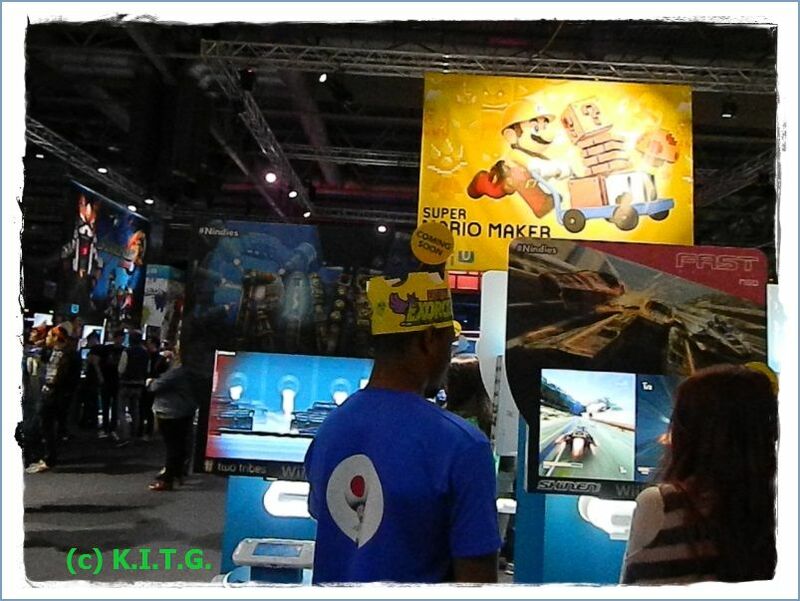 Now I had seen quite a few of Nintendo big hitters in London at the Hyper Japan show at the end of July. So even though the likes of Star Fox 0 , Mario Ultra Smash Tennis and Mario Maker where on hand to play I had already tried these games . 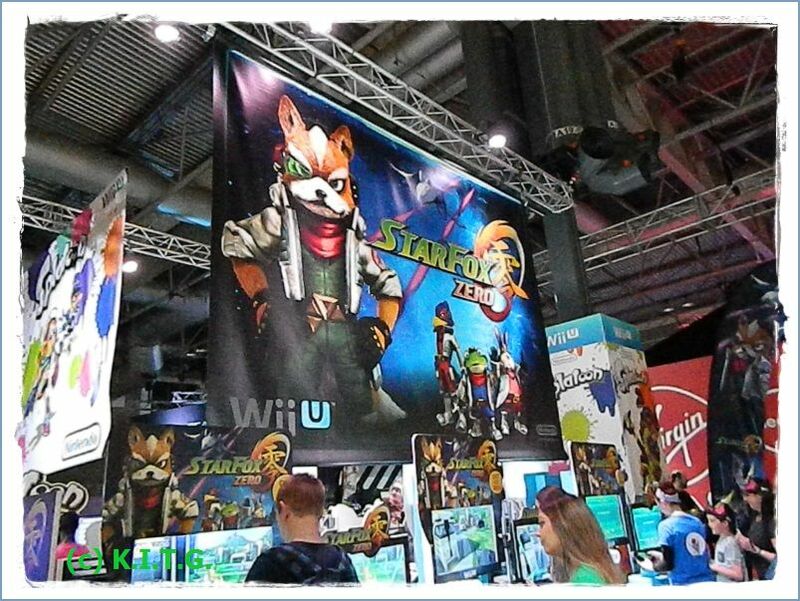 Star Fox 0 was proving popular with constant queues , Mario Maker had it's own little area with a few machines where visitors could get hands on with creating their own Mario levels. Of course Nintendo brought their big selling games so everyone could play classic Wii U titles Mario Kart 8 , Smash Brothers U and this summers big hitter Splatoon. Of course Nintendo's big Christmas game is ''X'' the sequel to the Wii game Xenoblade Chronicles by Monolith soft. This action RPG has a vast scope which is huge compared to the original , and was one of the highlights for many Nintendo gamers. My twenty so minutes with the game cemented my need for the game ,it's combat system seems more streamlined to the original , making it easier to switch between weapons which I found helped in quick thinking combat. But there's also stealth like attacks which add that extra dimension to the gameplay. Of course the visuals are stupendous with beautiful landscapes and giant robots. It's one game I really want to be playing over Christmas . Indies are another feature of the Wii U , and Indies where in force on Nintendo's stand, of course some of these games are indie in name only as quality was a fundamental element of our next play test where we got to grips with Shin'en's new game and sequel to their Wii Ware game Fast Racing League. Yes we got hands on with Fast Racing Neo . Entering into a four race championship I waited while the loading screen revealed a amazing looking racing track ,it was time to race and now was the breaking point of the game it could all go downhill here , these hover racers can either be ''Wipeout'' great or ''Pod ''pretty bad . Game start and I'm of , oh my what fantastic control , you could really feel and judge how the craft would move as you steered and veered on the track, using a similar colour changing aesthetic for the power ups as it's prequel I was blown away by the visuals and how stable they where under the intense speed as everything moved past my craft at break neck speed. Tracks have various weather conditions, obstacles to avoid and of course your rivals , the game has local multiplayer as well as Online multiplayer . It truly is a must have for Wii U owners and a no brain-er for race fans. It releases before the end of the year on the eshop ,but a actual release date has not been conformed as yet. 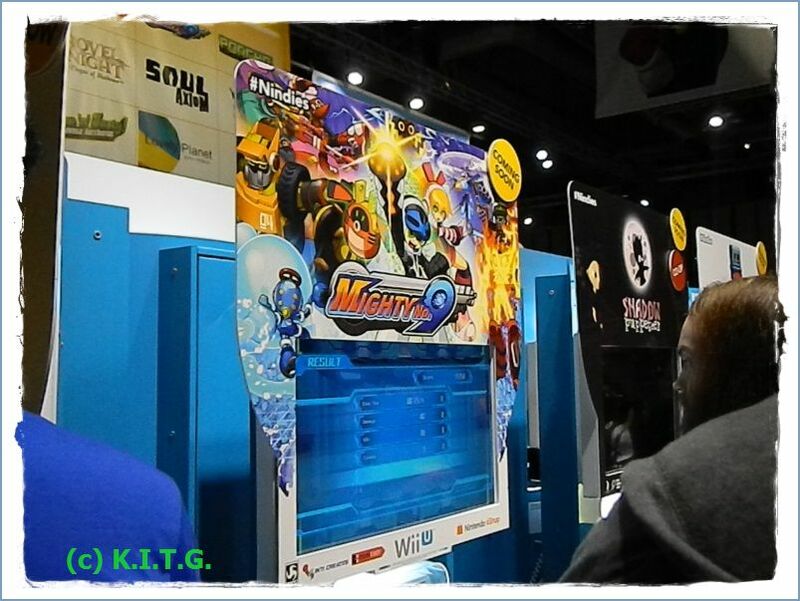 Another game that's been getting attention lately has been the Kickstarter funded Mighty No'9 by Mega Man creator Keiji Inafune and Comcept Inti Creates , it's a spiritual successor to Mega Man and looks very much like the series from Capcom but of course with up to date graphics. It releases in February 2016 on all major formats and also gets a physical release on all eighth gen consoles and PC. 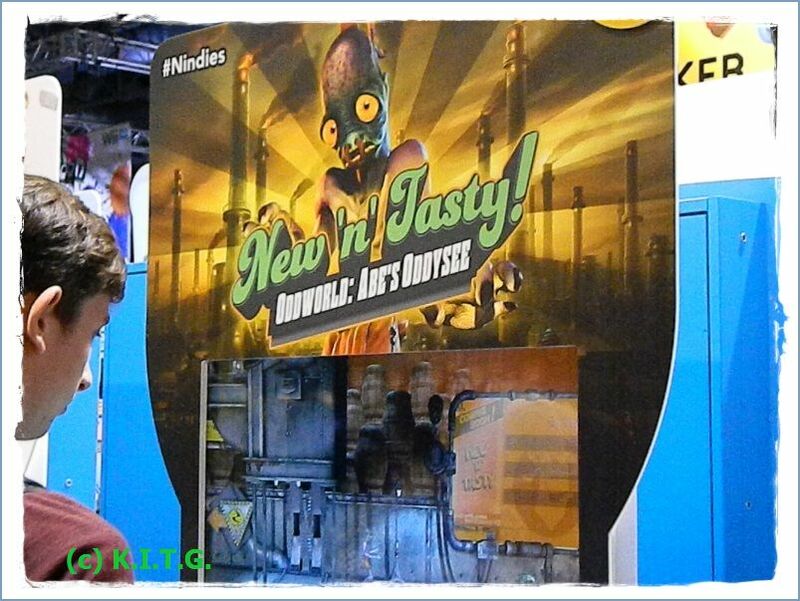 Now a game I new about but had forgotten was coming to Wii U was New and Tasty Oddworld. Now I remember the Abe's odyssey games from the 90's and upon seeing this title on Wii U just had to get to grips with it . It's a lovely 2.5d action platform game which sees you controlling Abe in what is essentially a remake of Oddworld Abe's Odyssey . Though the game is out on other formats and was a PS4 launch title it still has to arrive on the Wii U and PSVITA. Xbox One and PS3 versions where released earlier this year. The host of indies on Nintendo's stand where really good, many which featured in their indies at home promotion which had playable demos launched during E3 this year. 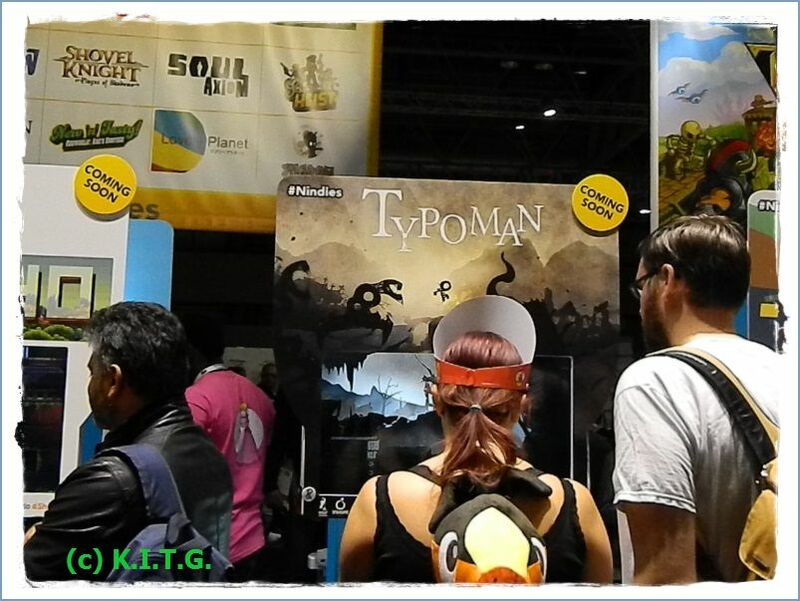 So on show where 'Soul Axiom ' Typoman ' Rive' Action Henk ,Shadow Puppeteer ,Terriaria , Extreme Exorcism and Poncho. Terriaria is of course a well known game and available on other formats from PC to PS4. It originally released in 2011 , I actually have the game myself on Xbox 360 , it's a 2d open sandbox game where you can craft, explore and fight in a randomly generated world. With no firm release date as of writing for Wii U , it is worth mentioning that the developers have said it will be the definitive edition of the game due to the new gamepad implemented gameplay. Terraria is also coming to Nintendo 3DS . Action Henk ( currently on Steam) is a fast paced speed runner game, graphical style is a mix between Sonic and Toy Commander , your gaol as Henk is to race through each of the courses as fast as you can collecting gold medals along the way. I really enjoyed the look and feel of this game and is another quality title coming to eshop . Worth a mention is Rive a space shooter from Two Tribes B.V who are of course developers of Toki Tori ,Edge and Rush all of which are on Wii U.
Rive is a scrolling 2d shooter with platform elements , your ship is able to shoot in a 360 degree arc as you explore your terrain. 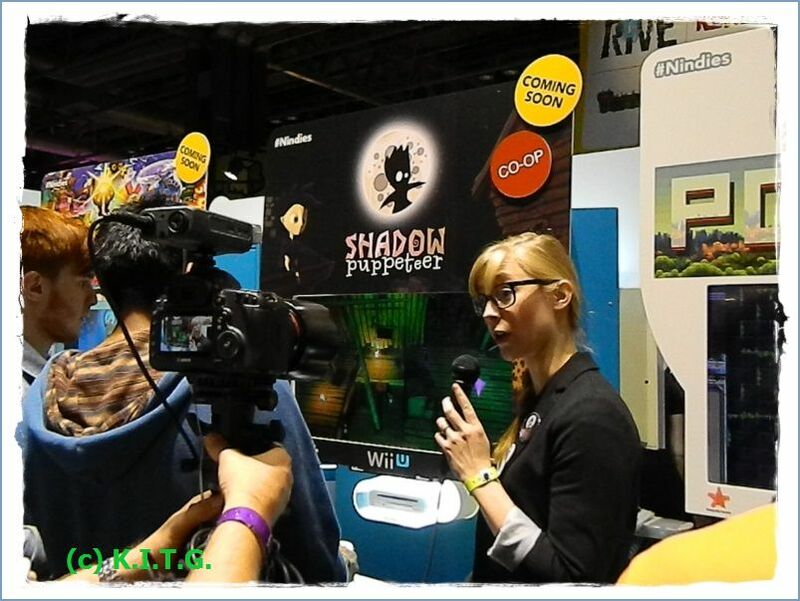 It was one of the Indies at home demo's Nintendo featured. Shadow Puppeteer is a game for two players where you and a friend can control a young boy and his shadow , each person taking control of either the boy or the shadow. The idea is to solve puzzles to get to your goal. It definitely has distinct look. 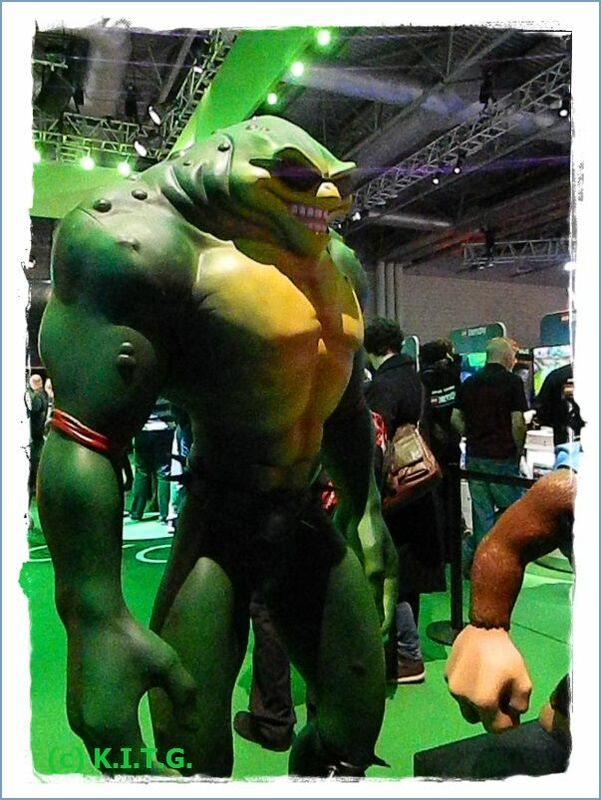 Now also on Wii U which released across all formats the very week of EGX is the next in the Skylanders series. 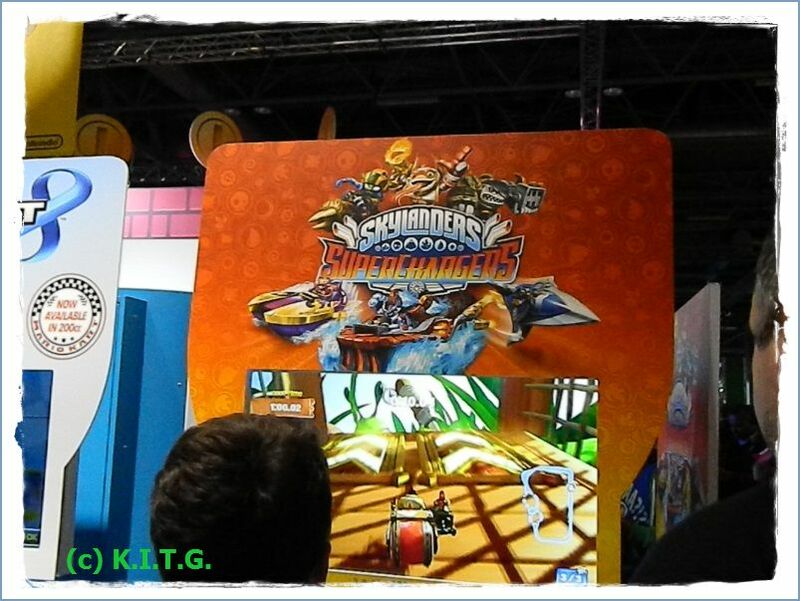 Skylanders Superchargers adds a racing element to the game as you aim to get through all the levels. Of course this year Nintendo had done a deal with Activision and Vicarious Visions to include Donkey Kong Figures and vehicles in a Nintendo exclusive set . 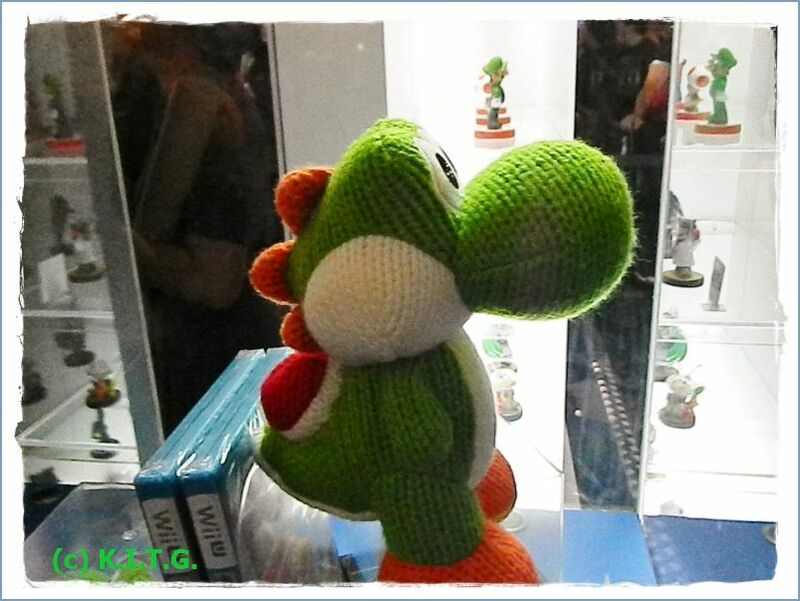 The included figures also act as Amiibo at the twist of the base , this inclusion makes having the Nintendo set a must have for amiibo collectors. I actually played the dedicated racing version of the game on the 3DS as there where some queues for the Wii U version , plus I would have been the only adult queueing to play the game towering above the eight and ten year olds in the queue. Of course the 3DS version does away with the main game from the Wii U and other current gen platforms . But it was a fun little racer if a bit easy , I did win my first race hands down. Other 3DS titles included Steamworld Heist , the forthcoming Legend of Zelda Tri-force Heroes and Animal Crossing Happy Home Designer . 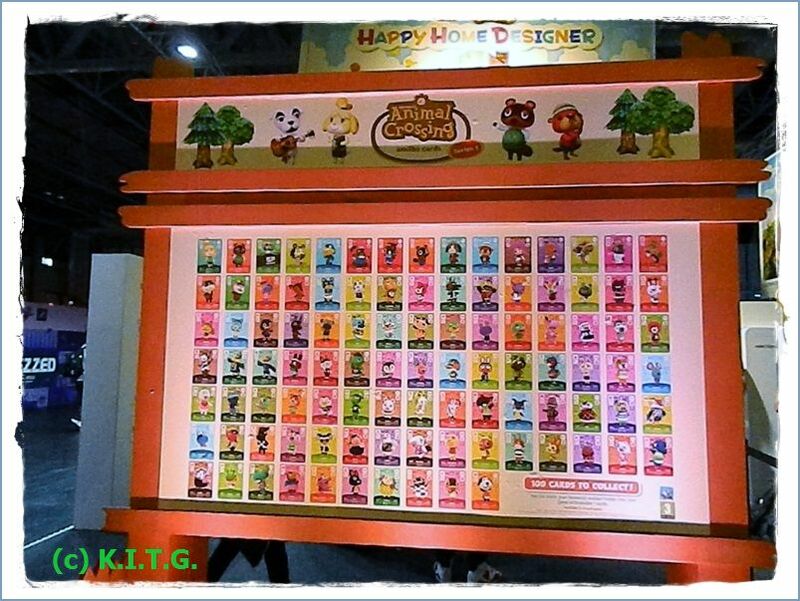 I really wanted to get to grips with Happy Home designer but the queue was vast for that one when I was there, basically you get to design the homes of the Animal crossing inhabitants and share your creations. It works with amiibo and the new amiibo cards . Owners of older 3DS and 2DS systems can buy a special pack with a NFC reader the game and a amiibo card. If anything I would have liked to see Nintendo's mature titles showcased , mainly Devils Third and Project Zero Maiden of Black Water. 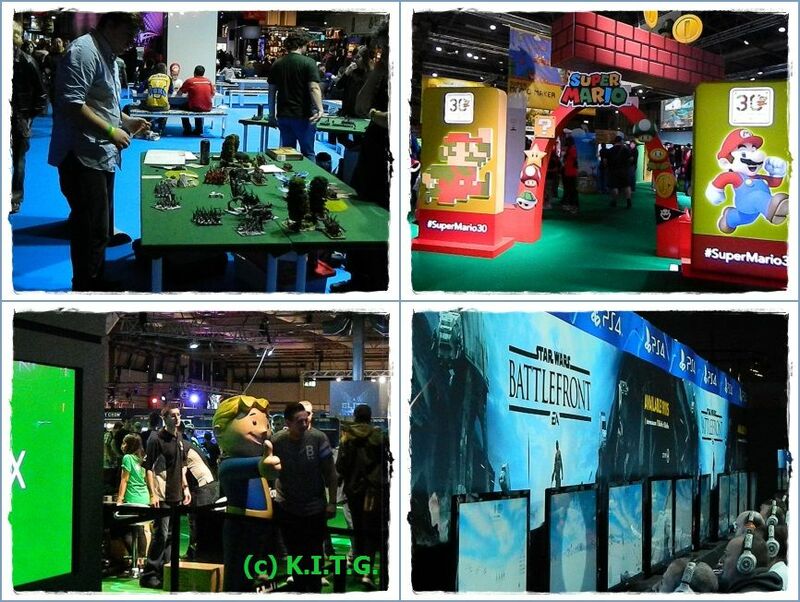 But I suppose their child friendly stand would have to have a enclosed section to do so or feature in the over 18 section elsewhere on the showfloor. 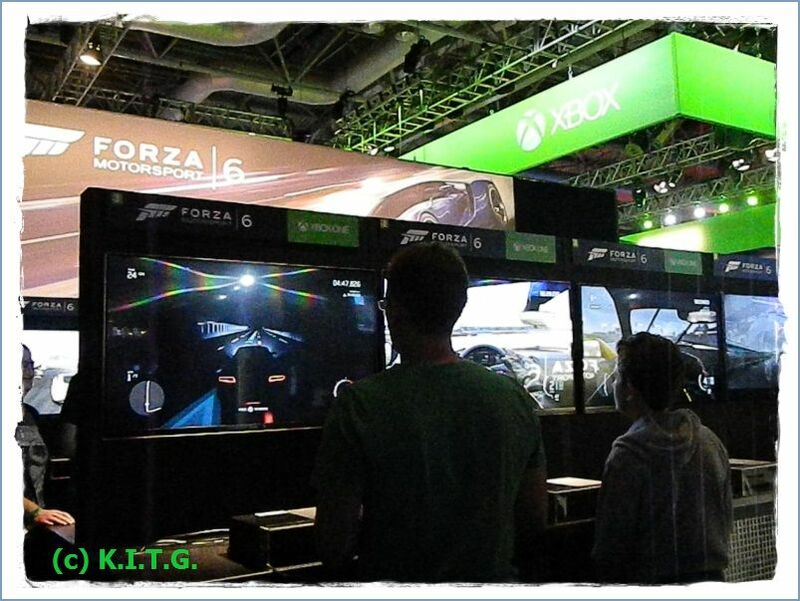 After a good morning of gaming I ventured to see what was going on elsewhere , right back to the Xbox one stand and inline for Forza 6 , it was not to long and I was on , now I am a big race fan but I must admit I had a really hard time with Forza 6 I was slipping and sliding all over the place , right a quick rethink and a change of car and adjust some settings and I was still smashing into things and sliding everywhere. The game looked wonderful but I was going no where , and I was not the only one , I watched as other gamers arrived to take the challenge and ended up sliding and crashing and then they would walk of . I'm pretty good at racing titles ,Gran Turismo, Grid,Dirt ect' but I could not get to grips with Forza 6 ,shame really as I wanted to like it. Now I had no chance to get to play the new Tomb Raider game unless I wanted to queue till the end of the show , so I thought I'll pass. The new Xbox Elite controller looks like a nice piece of kit ,but at over a hundred pounds just for a controller it seems like a bit of overkill and what if you lose any of the parts, bet you wont be able to get replacements. 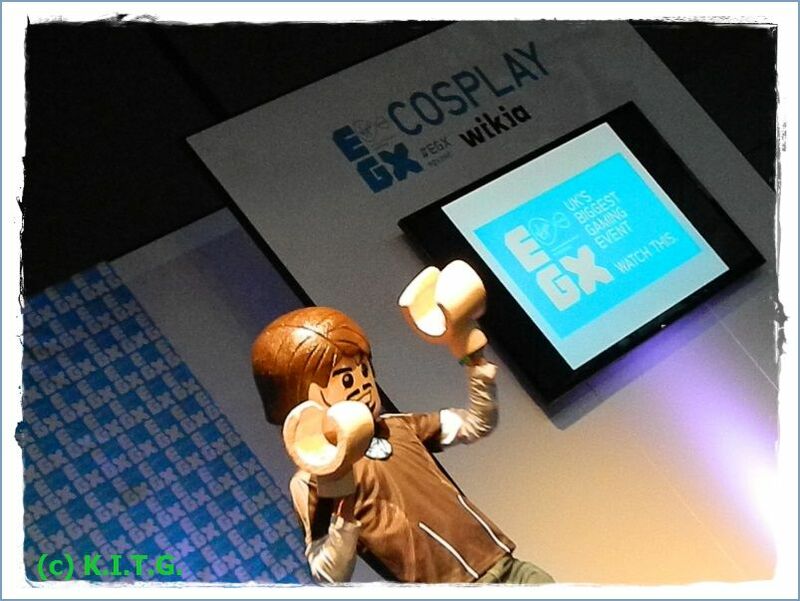 Now cosplay has become ever bigger in the UK and EGX has grown to accommodate more over the years. 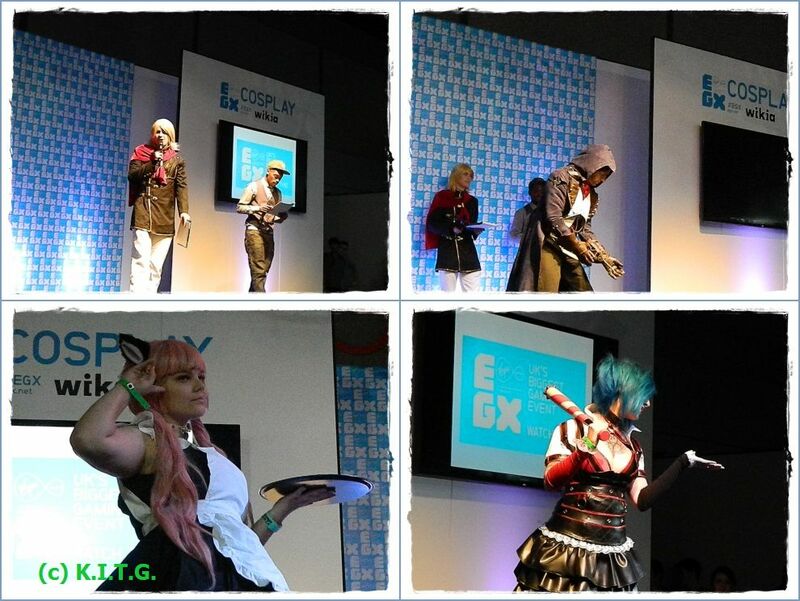 This year saw a cosparade and the preliminaries for the ECG ( European Cosplay Gathering ) take place at the NEC. 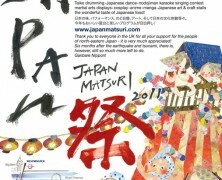 Previously this event had been held at the Hyper Japan show in London. So it was time to get some food and drink and get seated for the forthcoming show. Unlike a normal cosparade contestants have to perform a piece from their chosen cosplay , they get judged on detail , construction of their costume and their performance. 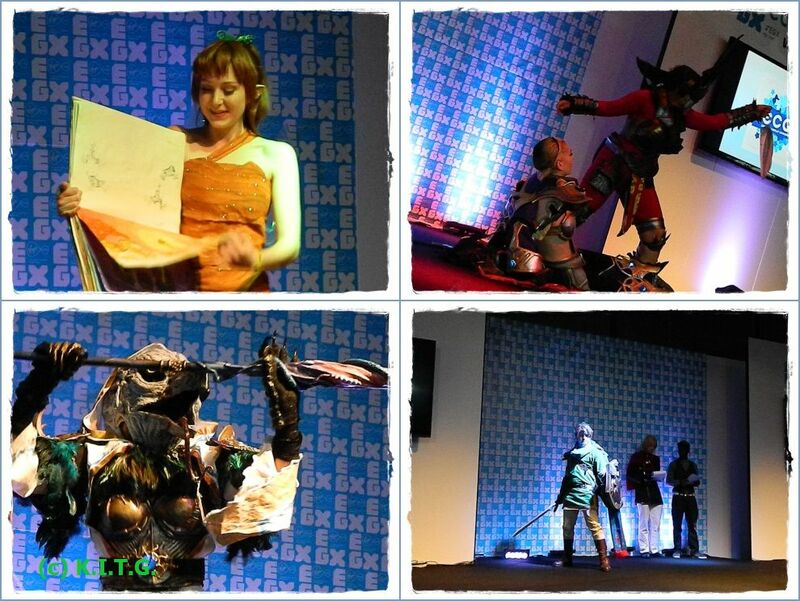 Winners will go to represent the UK in Paris next year at Japan Expo. There's more on the cosplay competitions and cosparade on our sister site in a dedicated cosplay feature. There where some great costumes on show not just in the ECG but the cosparade to . With video games and anime taking the majority of the influence for the entrants . 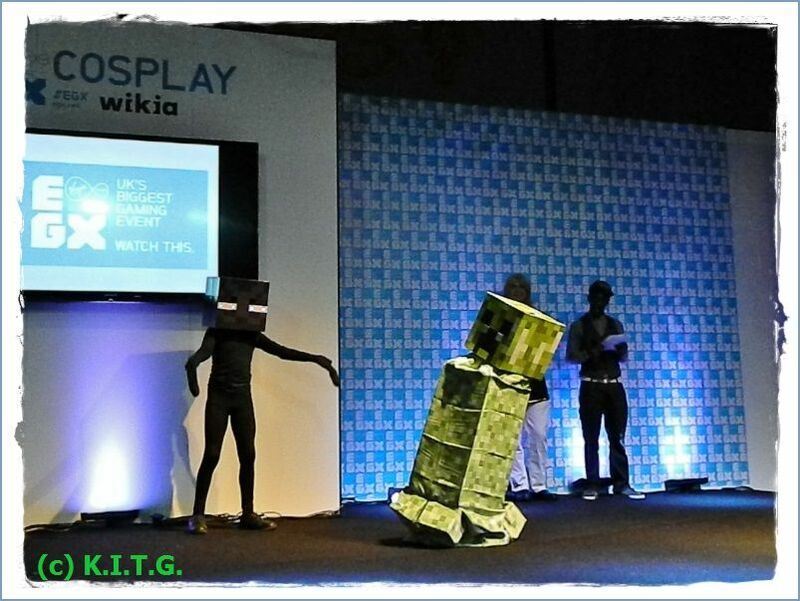 One of my favourites where the two junior members in the cosparade who came as Minecraft inhabitants. Now after the cosplay there really was not a lot of time left, I headed for the over 18 section , there where not many games to see , mainly it was Ubisoft and Sqaure Enix showing their wares. The new Assassins Creed Syndicate looks very nice with it's English setting and cockney voice overs , I love the fact you can hijack a carriage and go speeding of . But gameplay wise it seems very much like the others in the series. But it looks like it will be a lot better then Unity as far as stability is concerned. Other Ubisoft games I viewed where Tom Clancy's Division and Rainbow Six Seige. Seige is more of the same in the series with better graphics and The Division seems like a cross between the Rainbow series and Watchdogs . I biggest problem where queues with little time I wanted to see everything ,so gave Just Cause 3 a fleeting look in but again queues where over a hour to play . Back on the show floor I visited the Play-station stand and they had a few titles on show ,some behind enclosed areas where Metal Gear Phantom Flame ,Streetfighter V and others where. I got on to a game called Tomorrow People , I could not get to grips with it at all , did not know what I was doing I gave up. 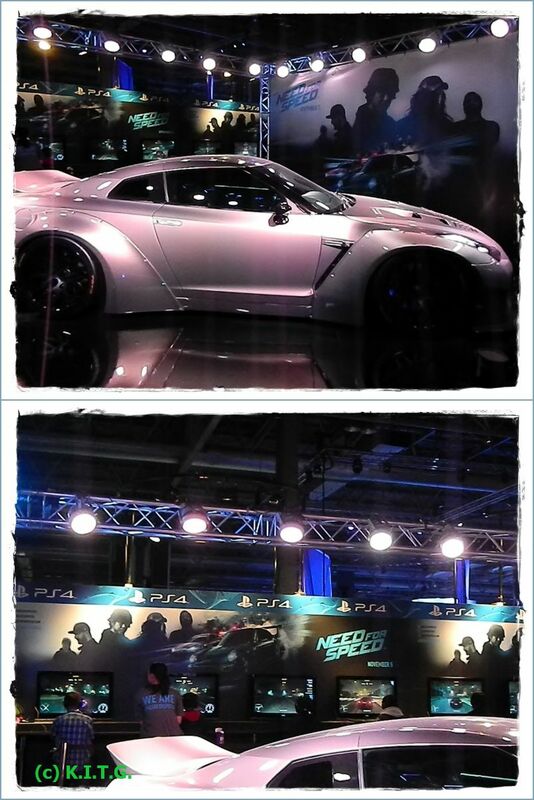 Now the new Need For Speed (NFS) game was on the EA stand again with a queue which zig zagged, ,but I noticed a couple of machines on the Playstation stand, I hovered , someone moved and I was on. Now Need For Speed as far as I'm concerned has been a very hit and miss series of games, and the last one I actually bought was Most Wanted on Wii U. A game I really like and still enjoy because of some beautiful graphics and gameplay. The previous two in the series to that I found mediocre with The Run being the one I stuck with . So I really wanted to like this new iteration , I was a fan of the Shift games due to their more dedicated racing style as opposed to street racing amongst traffic. Now this new game is in the latter style , so the traffic is there as are the cops which hunt you down, much like Most Wanted. The new NFS game is a reboot of the series by Ghost Games who consist mainly of members of Criterion software , also it's the first NFS game to require a always online connection , this is due to the new autolog features. From first impressions I was pleasantly surprised , it looks nice and water effects are cool when it rains, but the key here was the gamplay and handling , this might be one of the best handling NFS games in history . 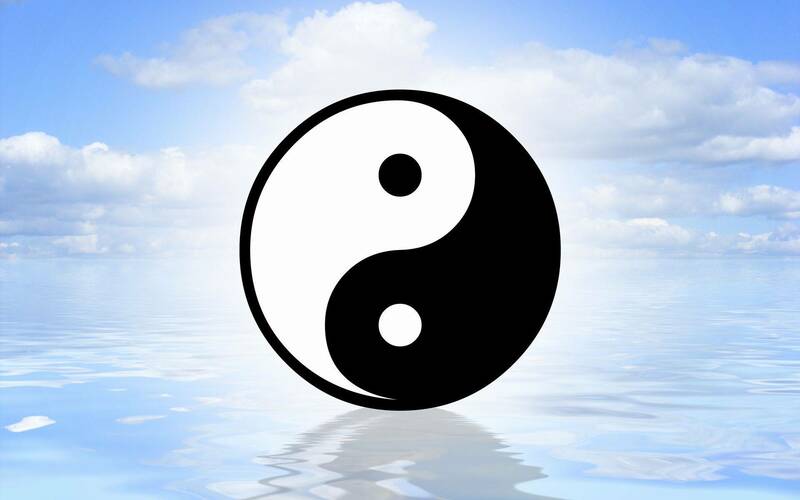 I found the control intuitive and drifting around the streets was a walk in the park . I spent some time with NFS as it was a really cool to play , I immediately had control of my car regardless of the situation I was in , very rarely did I feel I was going to lose it as as dodged between traffic and roadside objects. It could be NFS has come of age , shame it's not coming to the likes of Wii U ,but at least it's on three formats . Ow it was time to do a reccy of the show-floor , of course I saw other games at the show , the new definitive edition of Darksiders II on PS4 /Xbox One looks very pretty and apparently irons out some bugs of the original release from THQ. 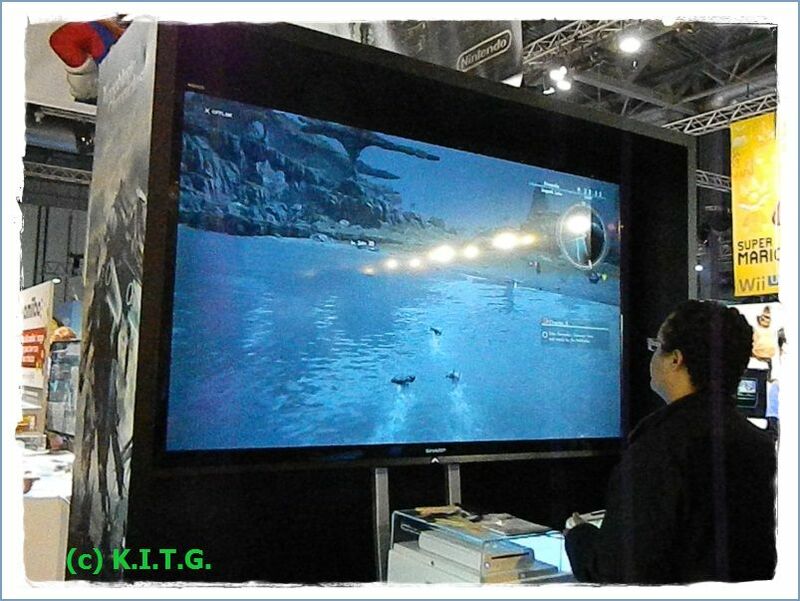 There where a untold amount of Indie titles across PC and console formats in the Indie area. But to be honest I really needed another day to get stuck into to those. 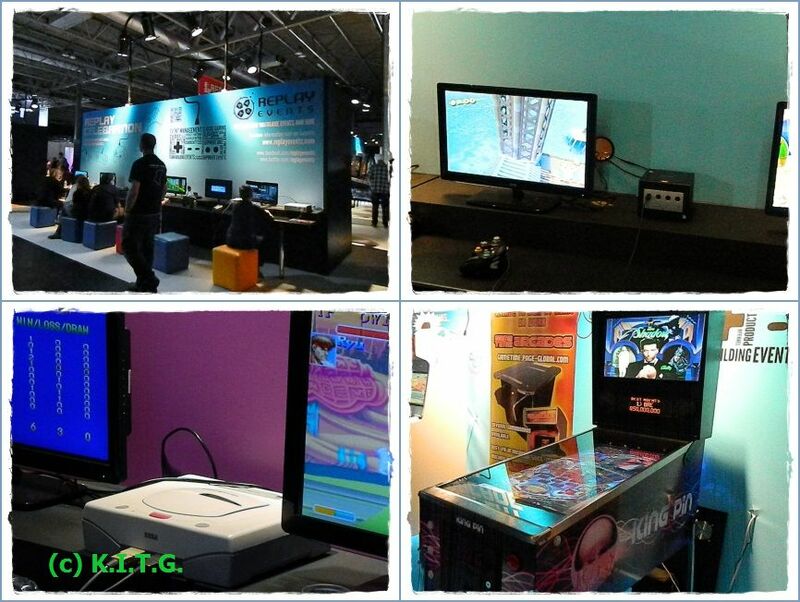 I nice retro area was up from Replay who run the Retro games shows in Manchester and Blackpool each year. With a nice collection of classic consoles from Atari 2600 , Vectrex, Gamecubes and a White Japanese Saturn ( this so should have been released in the West ) , add to this pinball machines and custom arcade cabinets it was cool to see visitors having fun on these classic consoles. 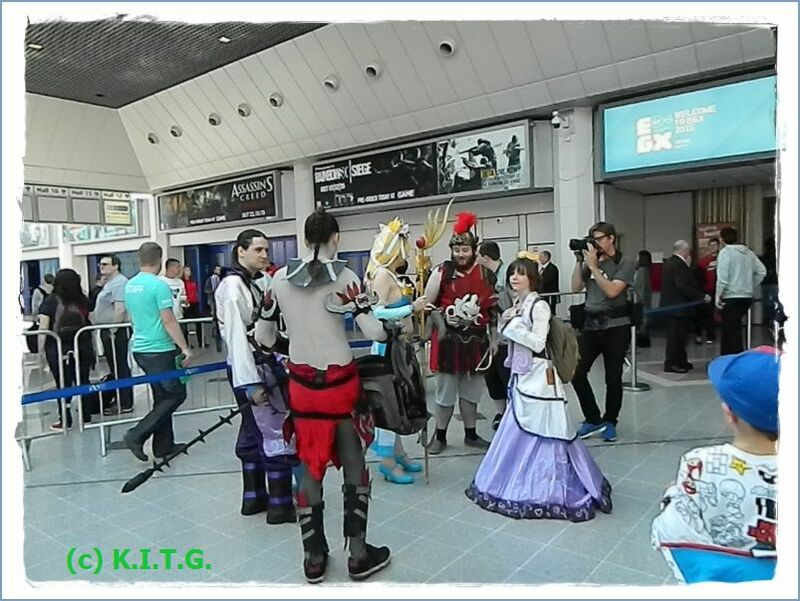 All in all EGX 2015 was a fun show , the cosplay added something extra to enjoy , for a fresh start in a new venue I thought it had a lot of content , like I said it's shame some publishers where not there . 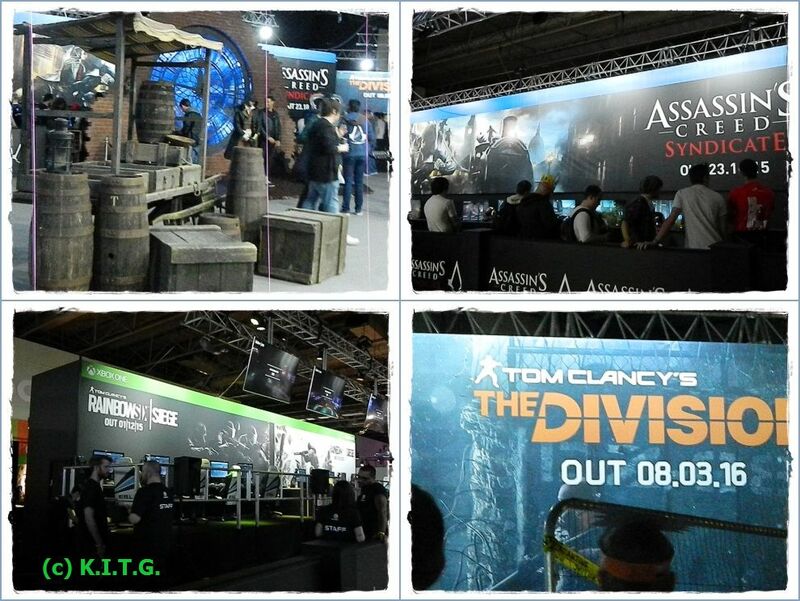 But I'm sure next years show will be bigger as the current gen opens up as new games get announced. Here at K.I.T.G. 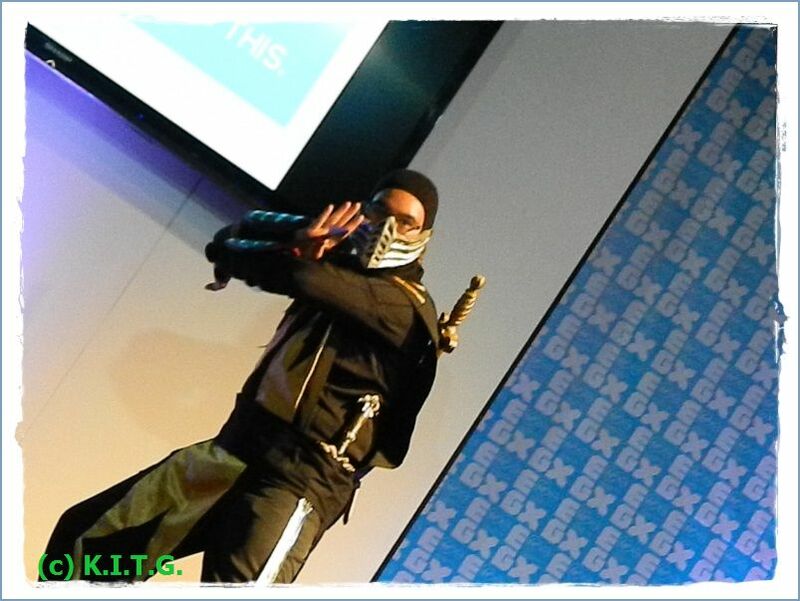 We thank EGX for the press pass for the show and hope to return next year for another full feature show.